After a fun day at the course, I had dinner plans with the other downtown colleague. It was one of the few times that I’ve made dinner plans on a weekday evening. Since working in Richmond, my weekday evening social life has become almost non-existent. I’ve made very few after work plans. The uncertainty of what time I’ll leave the office and the exhaustion at the end of the day have made me think twice. Being away at a course was the best opportunity to arrange dinner plans with my friend. The last time my colleague and I had dinner, we went to a Vietnamese place on Main Street. This time, after much indecisive brainstorming, we opted for Korean food. 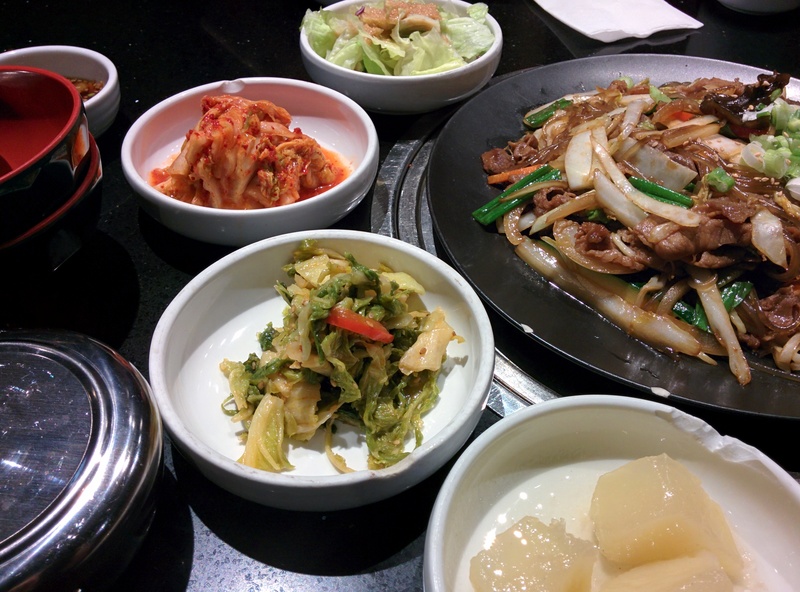 I listed a few suggestions for my friend and she picked Chosun Korean BBQ Restaurant along Kingsway. It’s been a few years since my last visit to Chosun and the last time I went, my friends and I ordered the barbecue. For this visit, my friend and I ordered a few menu items to share and nothing that required barbecuing. We hoped that if we didn’t order the barbecue items, the intensity of the grilled smell soaking into our clothing would be reduced. Unfortunately, we were surrounded by tables of people who were barbecuing so the smell was baked into our clothes and jacket. Oh well, it’s a good thing that I planned my wardrobe and wore items that would go directly into the washer upon my return home. It didn’t take long for us to have a table full of food. Add in the small side dishes and our table was covered in food. Overall, the food was pretty good. The server told us the beef shortrib soup was not very spicy (my friend is not a big fan of spicy food) although I still found that it had a little kick to it. 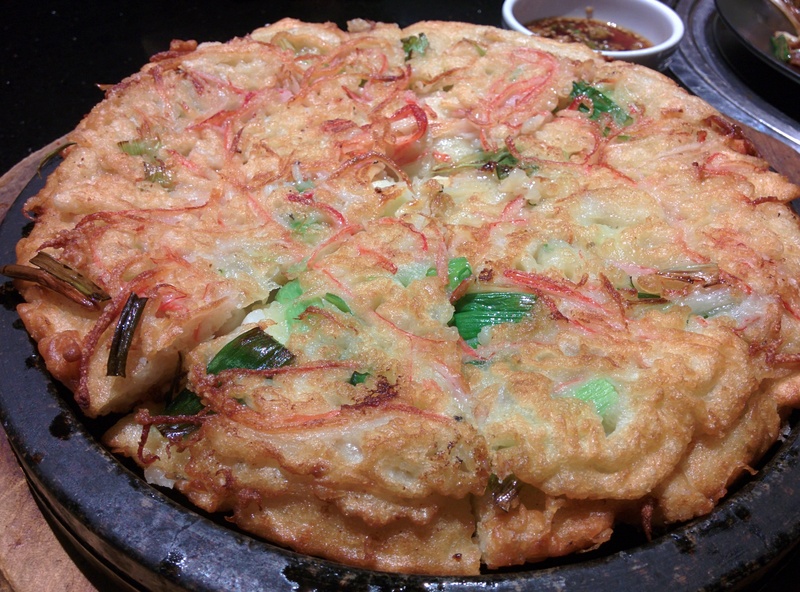 I found the seafood pancake a bit on the oily side and came across quite heavy. I would probably order something else instead of the seafood pancake. 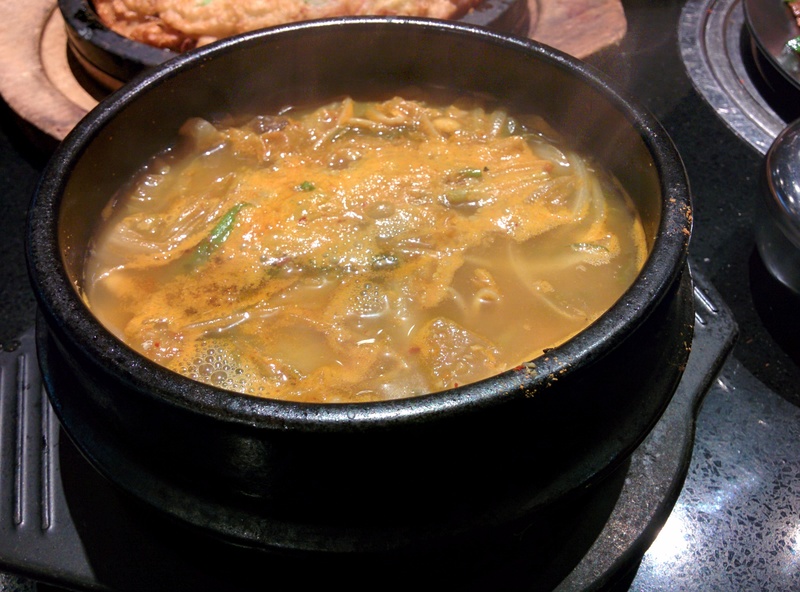 The jabchae was… well… jabchae — Very dependable, tasty and typical jabchae. My friend and I ordered too much food. 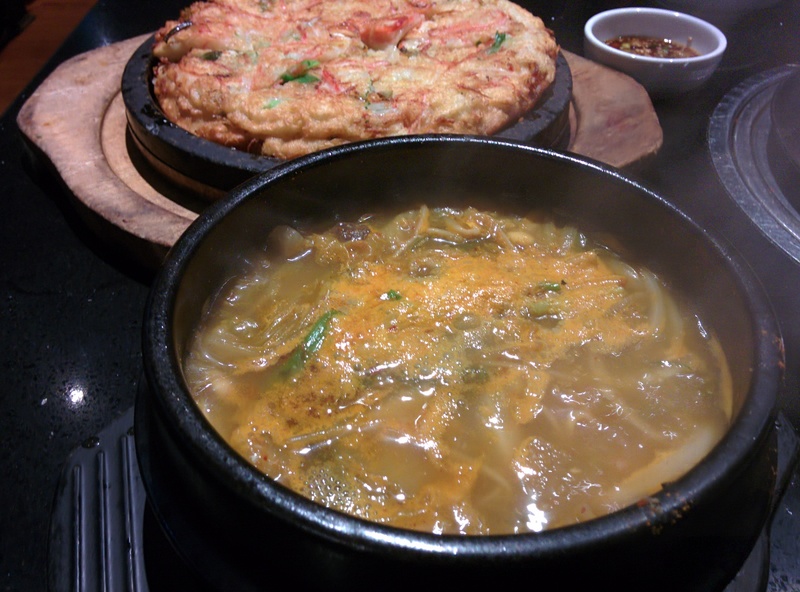 We finished off the beef shortrib soup but left half the Jabchae and at least a third of the Seafood Pancake. 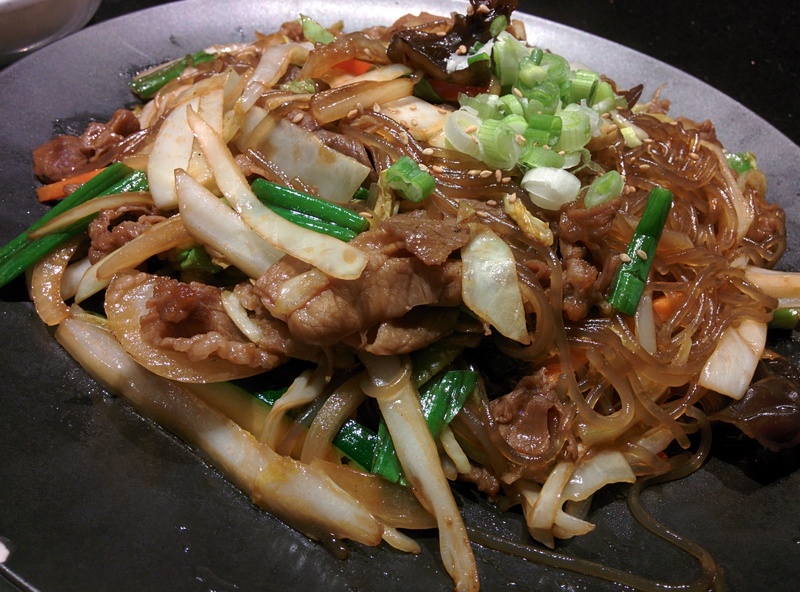 I took home the leftovers and had the Jabchae for lunch the next day. It still tasted pretty good and came in handy since I didn’t have the chance to leave the office.